Gonzaga Bulldogs are back on top! 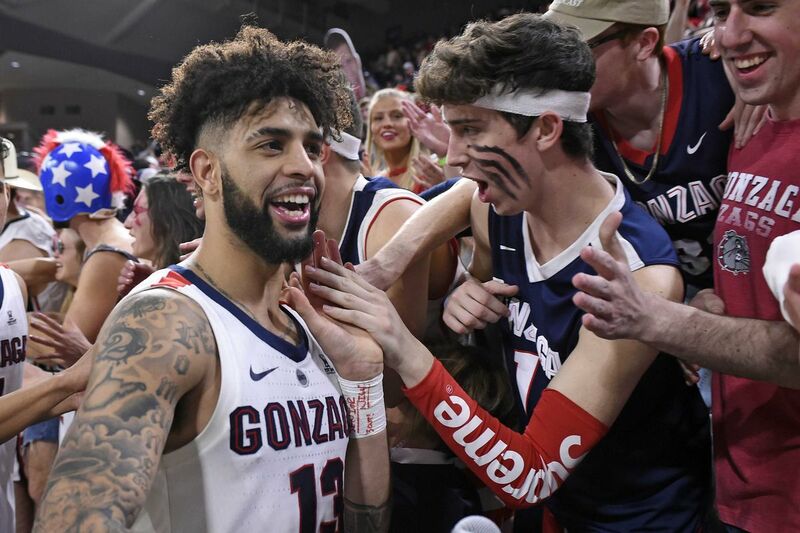 For the second time this season, the Gonzaga Bulldogs (27-2) have reclaimed the Number 1 spot on the AP College Basketball poll. They received 44 of the 64 first-place votes, while the other 20 votes went to 3 different teams; Virginia (15), Duke (3), and Kentucky (2). The Bulldogs ranked number 1 in the AP polls after beating the at the time number 1 Duke Blue Devils to win the Maui Invitational Tournament in November. They were number 1 for 2 weeks, until suffering two losses in December to two power 5 teams, North Carolina and Tennessee. Since then, they’ve won 18 straight games and are undefeated in conference play. The Bulldogs play again in one of the two final games of the regular season against Pacific on Friday 1st March, at 11 pm Local time (4 AM GMT). They’ll be hoping for another big night from their star player Rui Hachimura, who is currently averaging 20.5 points per game for Gonzaga. Hachimura is currently projected to be drafted 4th in the 2019 NBA Draft to the Chicago Bulls. Mark Few (the Head Coach) and his team are slated to be a 1 seed in the NCAA tournament. Unless they lose a game and don't win the West Coast Conference (WCC), they are set to stay up and play the winner of a first four match-up between two 16 seeds. Last year, the Bulldogs beat UNC Greensboro and Ohio State to reach the Sweet Sixteen as a 4 seed, until losing to the athletic Florida State Seminoles. THINK THE Bulldogs WILL stay on top for long?